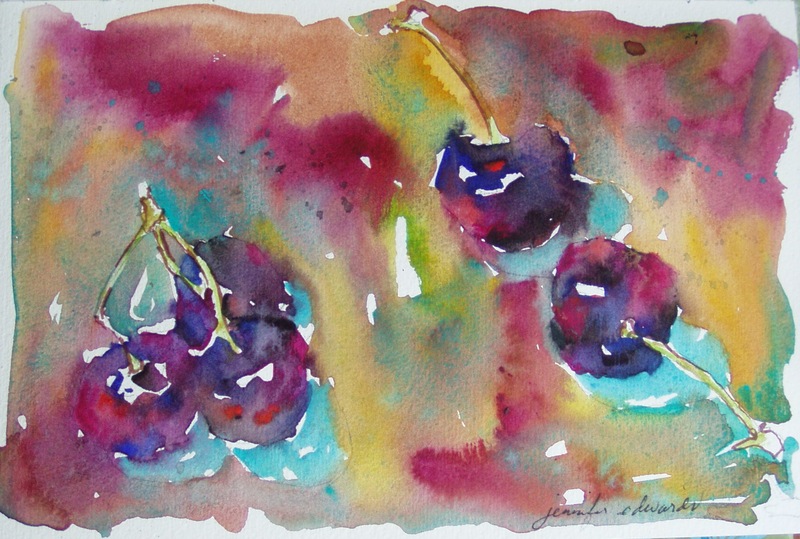 Love summertime…it means cherries, peaches, blueberries…gotta eat ’em…gotta paint ’em. Just sayin’. 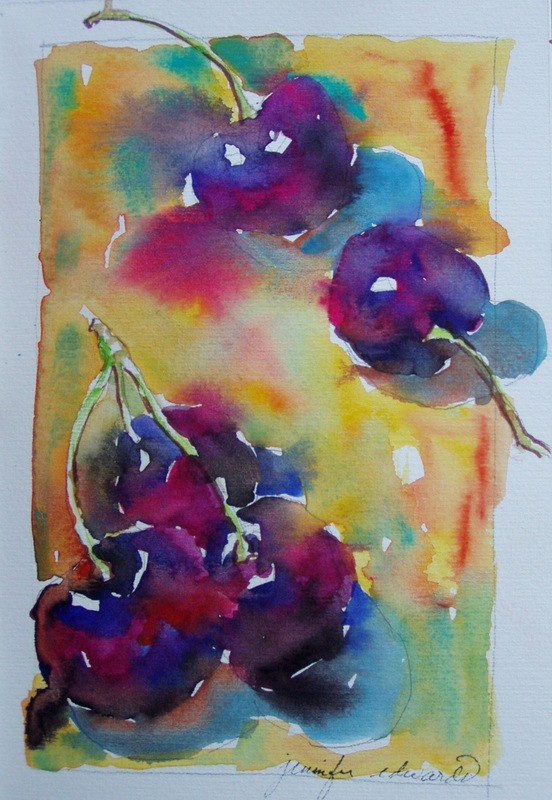 what lovely and vibrant colours! Awesome color mix! 🙂 And you really have made them look extra delicious! Again, love the colors! I LOVE the brilliant colors and lost edges you’ve achieved! Fantastic!